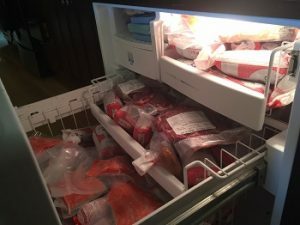 How much freezer space do I need for 1/8th-1/4th of a Cow? What are the cuts and numbers of cuts I might expect? Do you provide a Filet Mignon in your variety pack? Yes! A Filet Mignon is a cut of the Tenderloin, an internal muscle that is non-weight bearing and therefore very tender. The tenderloin runs the length of the spine; getting smaller as it goes from rear to head. Our T-bone steaks are really two steaks in one. The larger side of the cut is a New York Strip steak, the smaller side is a tender Filet Mignon. 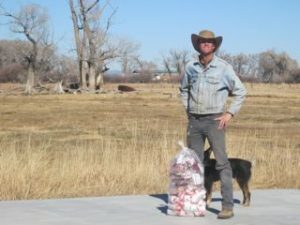 Where do you harvest Off Ranch beef? How old are the cows when they are harvested? Calves are born in March or April, therefore the cows are about 20 months old and not even full sized when they are harvested. Why is the fat color yellow-ish on your cows? This coloring reflects that the cows have been eating green grass rather than corn or grain. The anti-oxidant Beta-Carotene is incorporated into the fat of the animal, giving a more yellowish tinge than grain-fed beef. Can we get thicker cuts of steaks? Because we offer the popular smaller variety pack, we want each customer to get a maximum and equal number of prime cuts. Cutting thicker steaks would mean fewer total steaks to divide amongst the variety packs. 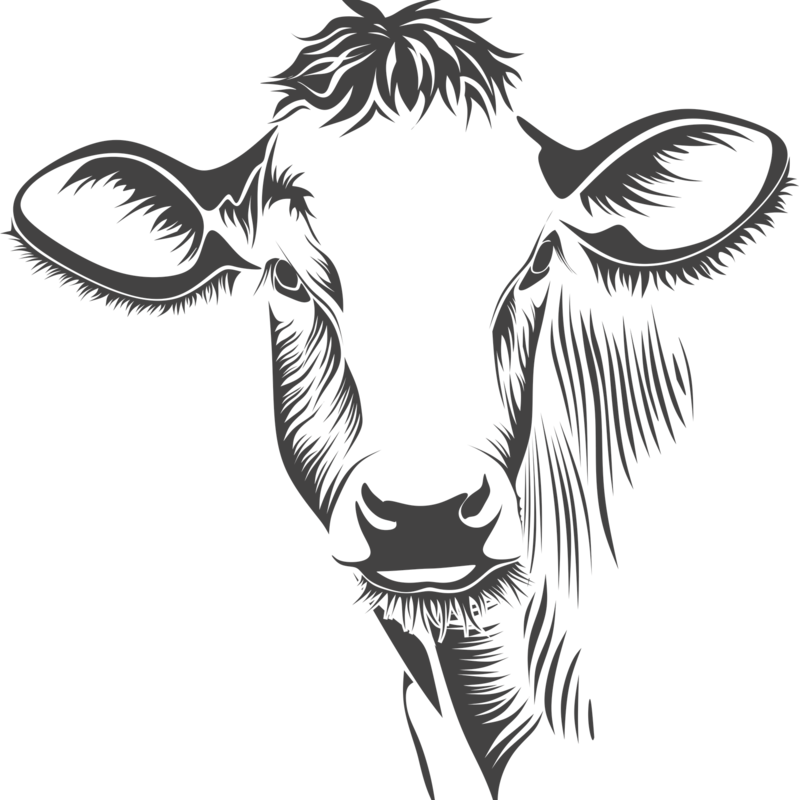 Customers ordering 1/2 cow increments can have their animal custom processed however they like. 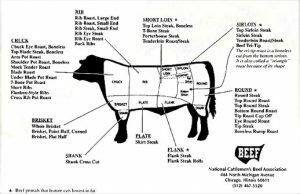 Where can I get more information on the cuts of meat?